You can download your invoices directly from your account. 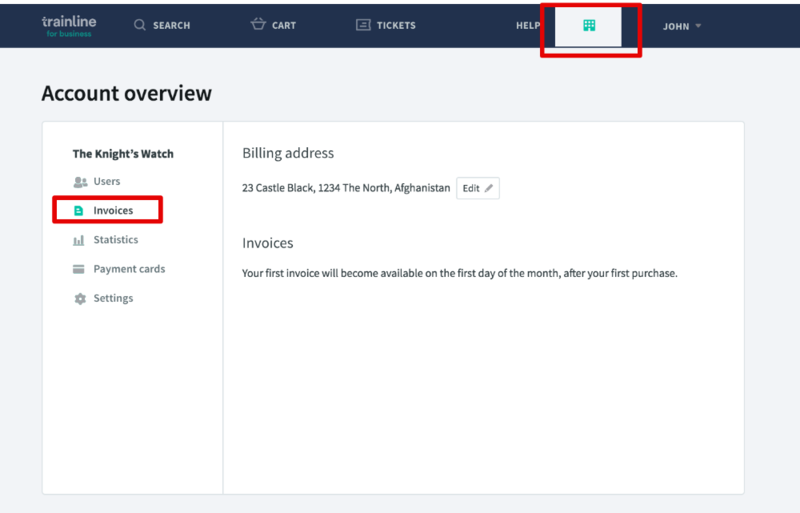 Just click on the organisation icon on the top right hand corner and then select Invoices from the menu on the left. From there you’ll be able to access all of your invoices. Your invoices will become available as of the first of each month, after the previous invoicing period has ended. For example, your invoice for November would become available on the 1st of December.